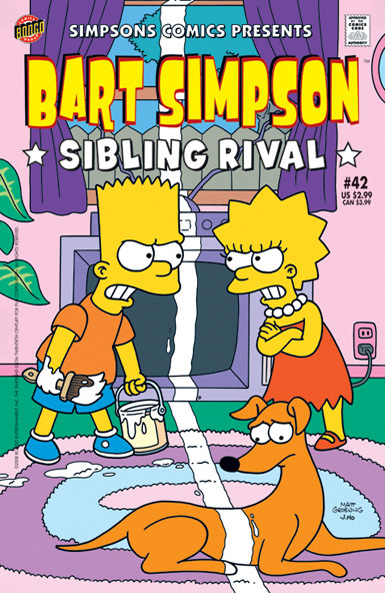 Bart Simpson Comics 42 was released in USA in June 2008. 1.1 Bart Simpson in: Battle of the 'Plexes! 1.2 Bart Simpson in: Say Hello To My Little Friend... Scarface! Bart Simpson in: Battle of the 'Plexes! Main article: Battle of the 'Plexes! Bart Simpson in: Say Hello To My Little Friend... Scarface! Main article: Say Hello to My Little Friend... Scarface!